27 January 2019, on the 35th Sunday after the Pentecost, when the Orthodox Church celebrates the Apodosis of the Baptism of Christ and the Feast of St. Nina Equal to the Apostles and the enlightener of Georgia, Metropolitan Vladimir of Chisinau and all Moldova participated in the Divine Liturgy conducted by Patriarch Kirill of Moscow and all Russia, in the Cathedral of Christ the Saviour in Moscow. 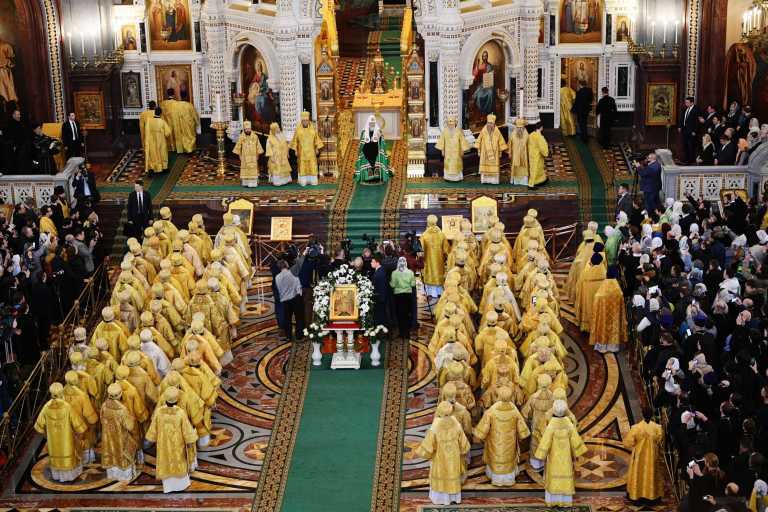 Numerous arch-pastors from the Russian Orthodox participated in the Divine Service. The Liturgy marked the inauguration of International Annual Christmas Readings, giving a start to a series of lectures and activities related to church life. Special prayers during the Liturgy were uttered for peace and church unity in Ukraine. A Thanks-Giving service was officiated after the Divine Liturgy, then the activity of the 27th Youth Forum was inaugurated. The forum will last till 31 January 2019. On 1 February current year, Metropolitan Vladimir intends to participate in the anniversary Liturgy marking 10 years of Patriarch Kirill’s ministry at the helm of the Russian Orthodox Church.